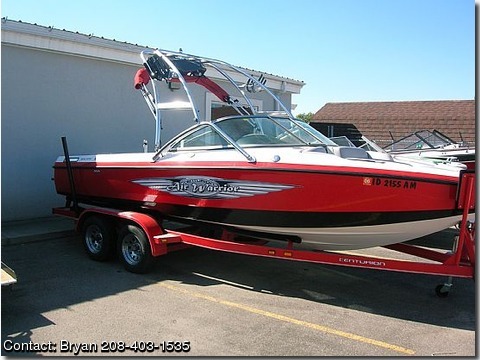 Absolutley PERFECT C-4 Wakeboarding boat with V-drive and 330 hp Black Scorpion motor, 2 axle trailer, wakeboard tower with racks and lights, $4,700 stereo system includes 4 Kicker Audio speakers in a Wetbox on the wakeboard tower w/Ipod connection, CD, dual amps, and subwoofer in custom box. This stereo will blow you away! Perfect Pass cruise control system, rear and center ballast tanks, ski pylon, 2 port heater w/ extendable hose, water temp indicator and depthfinder, built in cooler, bronze prop, loaded in truly mint condition. I buy a new boat every year so this one needs to go!